This is a picture of me that I took a few weeks ago. I’m sure you’re saying to yourself, “What? Renée is an esthetician and got a sunburn?” Well, not quite. The truth is, I haven’t had a sunburn in many, many years. I don’t go into the sun without layering on sunscreen or using my special application technique when I’m sweating. I also usually wear UV-protective clothing when I’m out for long periods of time. So, what is this all about? Well, what you’re seeing is not a current sunburn. Rather, this is damage from a really bad sunburn I got when I was 19 years old. It’s considered to be a “flare up,” and it showed up as I got out of the shower last night. Let me explain. Here’s why it looks like I have a sunburn on my chest when I really don’t. 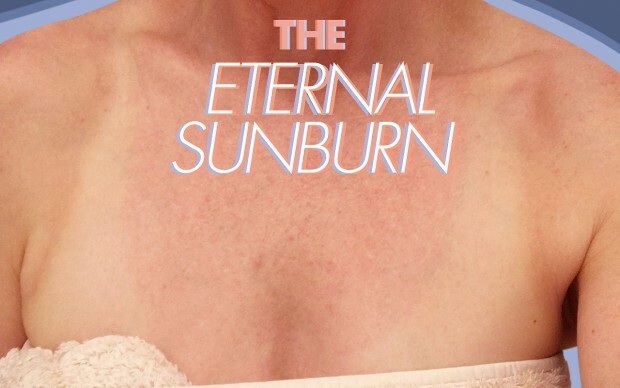 A sunburn is caused by extra blood in the capillaries. This one bad sunburn from so many years ago weakened the capillary walls; it’s simply pure sun damage. Then, due to age (I’m 48 now), my capillaries can and will continue to weaken. There’s been a loss of collagen and deterioration of the skin’s structure, causing the skin to flare up more easily. Add in the fact that the sun was hitting my chest directly when I originally got this burn. The chest is an area in which the skin is so naturally thin, the damage becomes easily visible. For many people, years of continuous sun exposure gives them year-round redness (and brown discoloration, too). Mine only flares up every once in a while when I’m particularly stressed (because my blood pressure is higher). This time, it was even more apparent because it was combined with the heat from a shower. The discoloration usually goes away within 30 minutes or so, but I’m always amazed that you can see my exact bathing suit lines. Crazy, huh? Bottom line, one sunburn at a young age can come back as visible damage in your later years. My young readers, take heed! What can you do to improve visible redness and brown discoloration from sun damage on the neck and chest? The good news is that there are effective treatments that can improve this. Sunburns can lead to changes in the skin’s texture and color and can result in growths called actinic keratosis. This is a fancy name for raised, crusty bumps. These growths are normally non-cancerous, but they can get bigger with age and be bothersome. The benefit of getting a professional chemical peel from an esthetician or nurse is that it can minimize the appearance of these bumps. The peel also works to lift away brown discoloration, encouraging more even-toned skin. Post-peel, the skin will have smoother look with less visible crepiness. Peels come in various strengths, so consult a trusted skincare professional to decide the best plan for your skin. Note: Peels are even more effective when you do them during the fall and winter months, as the skin is not exposed to as much sun then. Exfoliating at home is an easy way to improve the skin’s texture, lessen brown pigment and bumps and give a noticeably smoother look. You can use an acid exfoliator like Triple Berry Smoothing Peel once a week, leaving it on for 10 minutes each time. If you happen to have a tube of a prescription retinoid at home, you can give yourself a more aggressive treatment by doing this DIY chemical peel. This well-researched, tried-and-true ingredient is a go-to for sun-damaged skin. 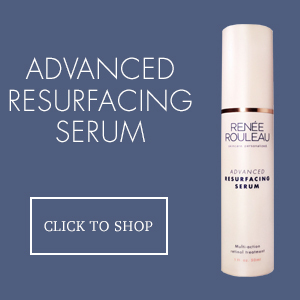 I recommend Advanced Resurfacing Serum to all of myclients. When used regularly, it can dramatically improve the skin’s appearance. 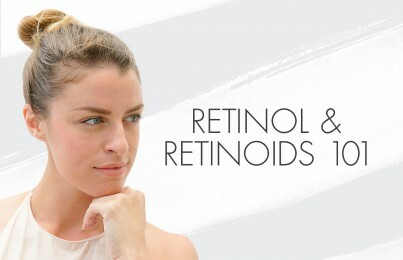 I have a long history of working with both retinoids (the prescription version) as well as non-prescription retinol. You can read all about it here, but trust me–this stuff works. Without a doubt, using topical antioxidants such as a serum vitamin C, can lessen brown pigmentation to create a more even-toned appearance. Vitamin C not only works to suppress melanin activity, but it can also prevent redness by keeping capillary walls strong. Finally, Vitamin C helps rebuild collagen, which is essential for damaged skin. Every morning, I apply Vitamin C&E Treatment to my face, and I always carry it down to my neck and chest. A few nights a week, I also like to infuse antioxidants into my face, neck, and chest by using Firm + Repair Overnight Serum. What makes this especially helpful for the skin is that it uses peptides. Peptides help support the skin’s structure by encouraging firmness. It makes for some good beauty sleep. 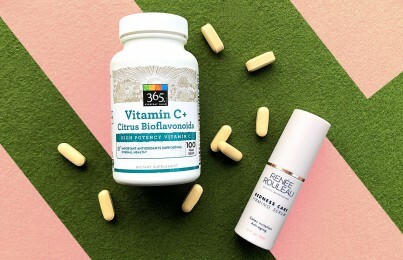 I have talked about this before on the blog, but I take vitamin C with bioflavonoids every day to help keep my capillaries as strong as possible. This supplement is also helpful for anyone who is prone to rosacea or bruising. It’s never too late to prevent future damage. Start protecting your neck and chest NOW but whatever you do, make sure you’re not making THIS major mistake. Consider using a topical non-steroid cream. Dermatologists will often prescribe this for use on the chest to help manage skin growths known as actinic keratosis. IPL stands for Intense Pulsed Light. This is also called photorejuvenation or Photofacials. These treatments are extremely effective for addressing brown pigment and may even help improve red capillary/blood vessel damage. How they work is that powerful flashes of light emit energy that can penetrate below the skin’s surface. The heat then breaks down pigment into tiny particles, which either rise to the surface as tiny little scabs (naturally falling off within a week), or they’re carried away via the body’s lymphatic system. IPL can improve redness, however, vascular lasers may deliver better results. A fractionated laser treatment known as Fraxel triggers the skin’s wound-healing response to stimulate collagen. The downside is that there is more healing time involved. Note: Poikiloderma is a skin condition in which blood vessels and brown discoloration appear on the sides of the neck just below the ear in big patches. I actually do have a minor case of this, so I get it zapped away with a Photofacial a few times a year to make it less noticeable. As for the damage on my chest, it doesn’t flare up too often. It’s typically not something I pay much attention to, but writing this post reminds me that I really need to take better care of it! I repeat. Use neck cream. 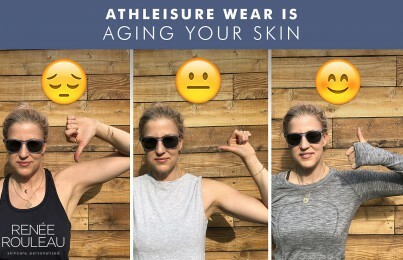 Prevention is everything so if you’re using neck cream (and on the chest, too), you’re creating an environment of moisture and firming action ingredient deep within the skin to keep it looking and acting healthy. The key to having good skin is simply to give plenty of tender loving care and this includes the décolleté region. I have all of my clients use Intensive Firming Neck Creme every night. It’s so good. Regardless of how much or how little time you spend in the sun, EVERYONE should ALWAYS get a yearly skin cancer screening with a dermatologist. You never know what’s brewing deep within the skin that can ultimately take your life. It’s serious business. Lastly, it’s far easier and less expensive to PREVENT damage from the sun than it is to repair it. Don’t neglect your neck and chest. After all, it’s an extension of your face. I wish I could use cream on my chest, I break out with pimples with even the most sensitive lotion/cream. I can’t afford professional treatments, I guess vitamin c it is!